Now businesses can directly interact with their audience without using email. Every day we all experience this revolution on our mobile device, either for an electronic payment confirmation, purchasing tickets or to confirm a delivery. We receive notifications through SMS or directly on the app we use. This new communication channel works because users get notifications that are relevant to them and they have opted in to. What could be more efficient than communicating with an audience who is expecting information from you? The picture may change if we fall into the same trap as email. Let us explain. The email open rate is catastrophic because of the over-use of this channel for almost 10 years. Brands have been guilty of issuing this communication channel and have been bombarding consumers with intrusive and irrelevant information. Distinguishing a useful, informative email from a recognised brand and spam or an intrusive advertising campaign, can be a time consuming exercise. The result? An email that’s good but not very effective can become counter productive in a customer’s relationship and engagement with a brand. What’s going on with a smartphone? This handheld device is extremely personal, customised by the user with several apps they have chosen to download. The publisher sends push notifications based on opt-in through the app installed on the user's phone. 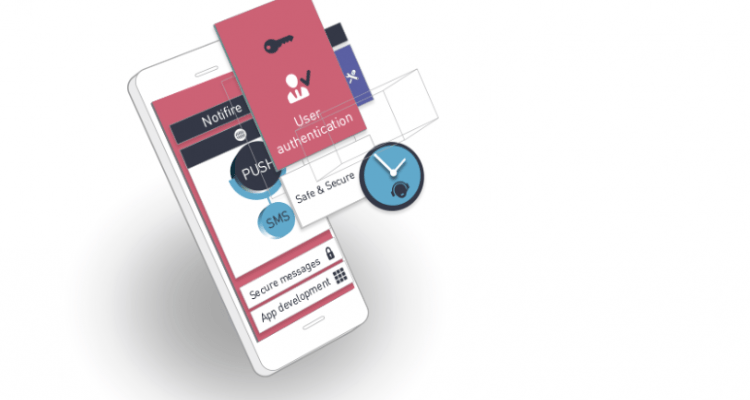 We all know those famous words: ‘Would you like the application to notify you via push messaging?’ we find that many users validate this request whilst setting up the app. The world we live in today means a brands audience may be contacted via several channels; email, SMS and push notifications. The challenge for brands and advertisers is to not repeat what has been said on one channel when engaging via another. These same players must develop a new form of intelligence in their customer relationships: Adapting to customer needs by sending the right message through the right channel at the right time. This ensures we don’t over-exploit any of these channels. …with the right tools. Today it is possible to use hybrid messaging through dedicated platforms with a simple API, which allows messages to be sent via a variety of options including SMS, push and voice. If an average user has activated push notifications as his preferred channel, great! If this is not the case, the platform will detect it in real time and will send a SMS to the consumer. At a time when businesses are having their marketing and communication budgets squeezed, hybrid messaging optimizes return on investment. According to the Mobile Marketing Association France study, 90% of SMS are opened within 90 seconds. The new and most effective way to engage with consumers is via hybrid messaging. It allows brands to develop the relationship through greater choice and effectiveness. This variety of delivery is essential for successful engagement. This technology follows a growing trend amongst innovative brands: We can’t ignore the user experience. There is no excuse: deploying smart economical and interesting campaigns has just been made simpler.